Trading in cigarettes for vaping could spare as many as 6.6 million American smokers from early death, according to researchers from the Georgetown Lombardi Comprehensive Cancer Center. But whether vaping actually helps people quit their cigarette addictions is a controversial question that the Georgetown researchers do not address in that figure. The Centers for Disease Control estimate that cigarettes (including exposure to secondhand smoke) kill 480,000 Americans each year. The Georgetown study claims that, optimistically, switching to e-cigarettes could add as many as 86.7 million years to smokers' lives. Lead author Dr. David Levy called e-cigarettes “the lesser of two evils. There’s no doubt about that.” However, he was careful to clarify that e-cigarettes that deliver intense amounts of nicotine with large tanks are more effective as a cessation aid. 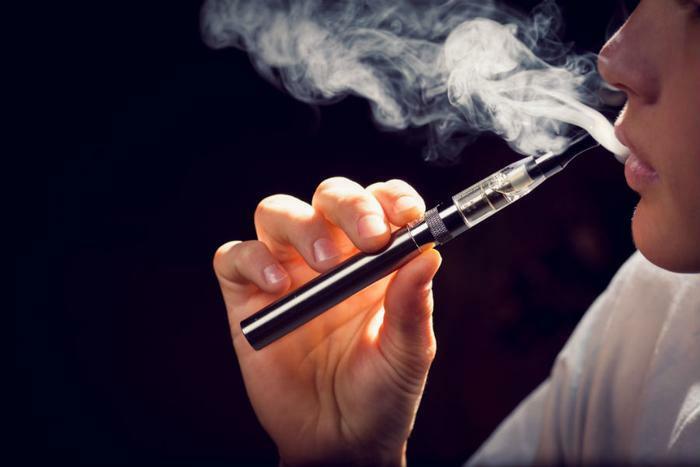 Vaping, or smoking vaporized nicotine through an electronic cigarette, has been linked to lung inflammation, cardiovascular problems, mouth ulcers and even an increased likelihood of getting hooked on regular cigarettes. Levy, an epidemiologist who specializes in tobacco regulation, acknowledges that e-cigarettes contain formaldehyde and other carcinogens. But he says that vaping delivers harmful chemicals at doses much lower than what cigarettes do. The study made optimistic and pessimistic projections, assuming that, at worst, e-cigarettes are 40 percent as dangerous as cigarettes (a figure supported by critics of the vaping industry) and, at best, five percent as dangerous. Where the health benefits of vaping as compared to cigarettes is unanimously agreed upon, the effectiveness of vaping as a smoking cessation aid is not. Dr. Stanton Glantz, a medical professor and director of the Center for Tobacco Control and Research at the University of California, San Francisco, is a researcher and activist working to expose big tobacco's marketing tactics. He is unimpressed with Levy’s study. "If you can snap your finger and get all the smokers to switch to e-cigarettes with no other effects, there's no question we would be better off. But that's not what is happening," Glantz tells ConsumerAffairs. "I don’t think this paper contributes much of anything frankly," he adds. In 2016, Glantz and a team of researchers analyzed troves of published data to determine the effectiveness of vaping in helping people quit smoking. They found that people who vape are actually 28 percent less likely to quit cigarettes. Glantz criticized the latest vaping study for not factoring that data into their findings. "Basically, what this paper says is that if a whole lot of people quit smoking, lives will be saved." Levy and Glantz do both agree on a few points, however; namely, that vaporizers that deliver more nicotine are better at helping smokers quit. Glantz's research showed that smokers who regularly vape from large e-cigarettes equipped with tanks are the one segment of smokers that have found success. But these people constitute just ten to twenty percent of the vaping population, he cautions. Another major problem with e-cigarettes is the fact that many major vaping brands are owned by big tobacco companies with a vested interest in keeping people hooked on cigarettes. These brands tend to take up the most space at major retail stores, Levy says, but they are not effective at getting people to quit. Levy advises smokers trying to quit to instead purchase e-cigarettes from independent brands that are sold in specialty shops or online.